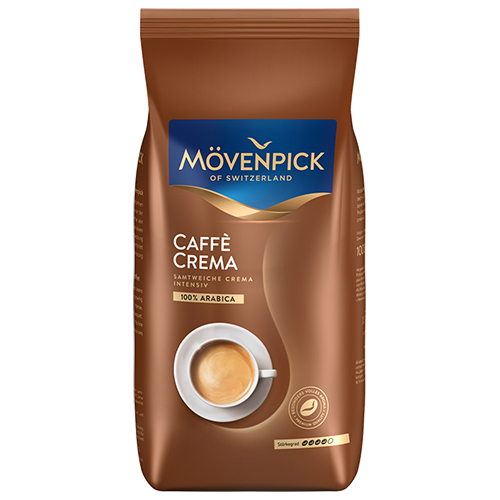 Mövenpick Caffè Crema coffee beans is a versatile coffee which combines an intense aroma with a velvety, golden crema. The perfect blend of 100% Arabica highland coffeebeans and wonderful flavors ensures a superior coffee experience. Mövenpick Caffè Crema, with its rich aroma, is an extremely versatile coffee. It is suitable for café au lait and café crème as well as espresso and espresso-based drinks such as cappuccino and latte macchiato.